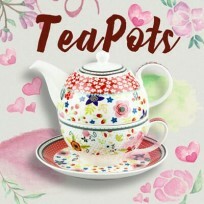 Chloris Tableware stocks a huge range of Tea and Coffee pottery products including Teapot, Teacup tea cup & saucer sets and coffee cup and saucer sets, Espresso cups, and Breakfast cups. 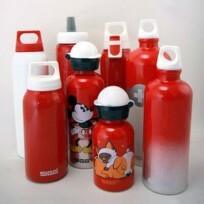 Browse and find them the one you are looking for at the different brands we stock. 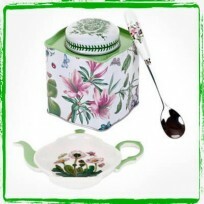 The ranges are from exquisite Premium one of special selection for gifts down to stylish casual one for everyday use. 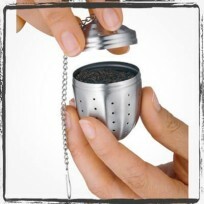 Teacup is smaller than breakfast cup or coffee cup, and its entrance dimension is wider than the coffee cup to take most of the flavour of tea. 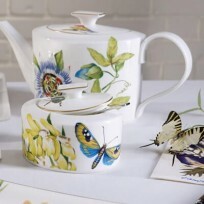 We are the stockist of Dunoon Mugs, Villeroy & Boch, Churchill China, Portmeirion and many more brands. 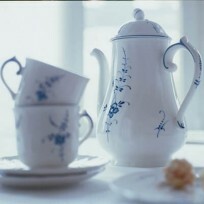 Product materials we offer vary from fine bone China to Porcelain clay or Earthenware, sometimes stoneware. 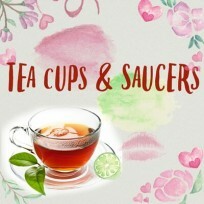 To gain the best flavour of your favourite tea, we recommend to choose fine bone china cups especially for black tea as lots of people believe that they makes the tea taste better. 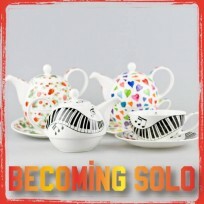 We are the stockist of Dunoon Mugs, Villeroy and Boch, Churchill China, Rosenthal, Portmeirion and more. 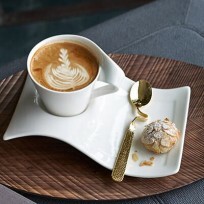 With a huge range of coffee cup and saucer set, you can browse them from Premium or casual coffee cup and Saucer here at the best prices. 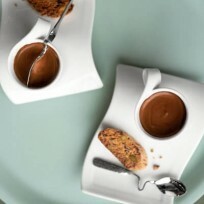 Products we offer vary from fine bone China coffee cup and Saucer to normal Porcelain clay or Earthenware. Different people take Coffee cups on different sizes sometimes very big sometimes very small so we stock on behalf of those different people' style. 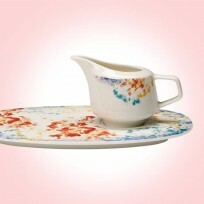 Enjoy your tea life with Tea accessories such as Tea bag rest or spoon rest which will make lunch table neat and tidy when drinking tea bags. 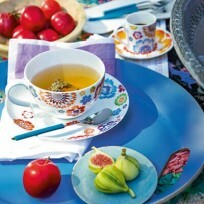 We stock beautiful tea rests from Portmeirion and Queen Churchill China, the UK historical Famous Brands.